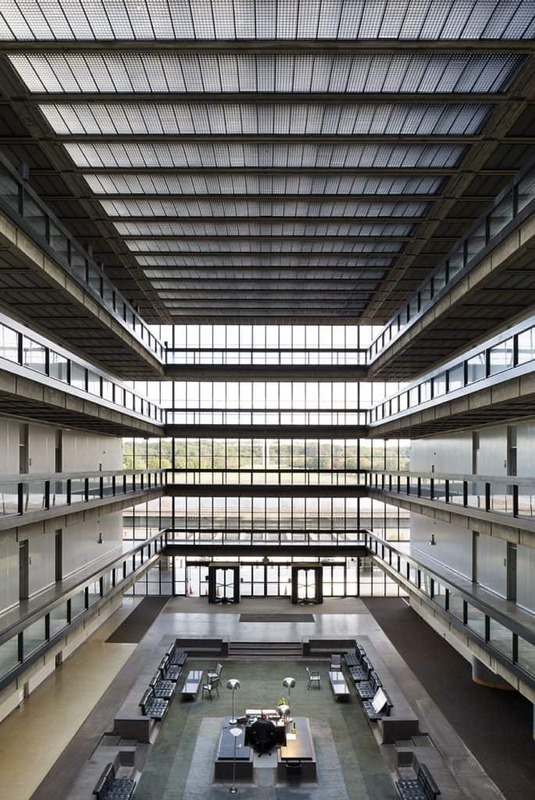 Eero Saarinen’s Bell Labs Holmdel Complex, a majestic glass box appearing mirage-like amid the New Jersey countryside, was one of the architect’s last projects before he died in 1961. 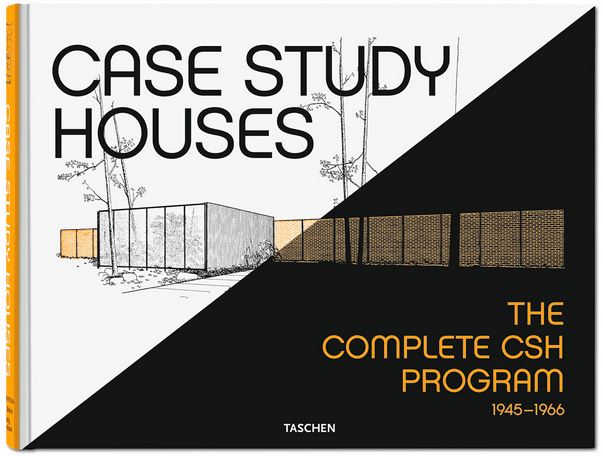 Constructed between 1959 and 1962 it represents a remarkably prescient model for the way many modern offices and educational facilities are now being constructed, with their specific emphasis on stimulating collaboration and fostering encounters between different departments. In its heyday it hosted the work of over 6,000 engineers and scientists, with a particular focus on telecommunications research. 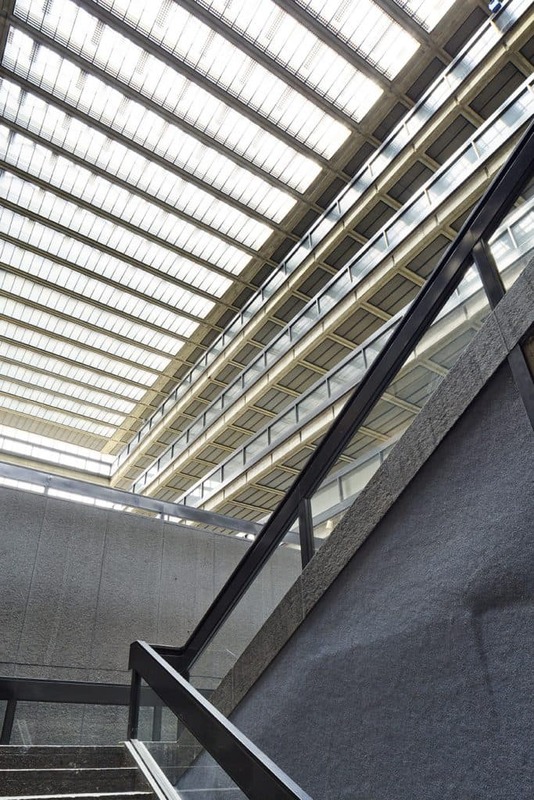 Such a large number of researchers engaged in the business of furthering communication technology greatly benefitted from Saarinen’s meticulously function- and site-specific approach (a hallmark of the modernist ethic). 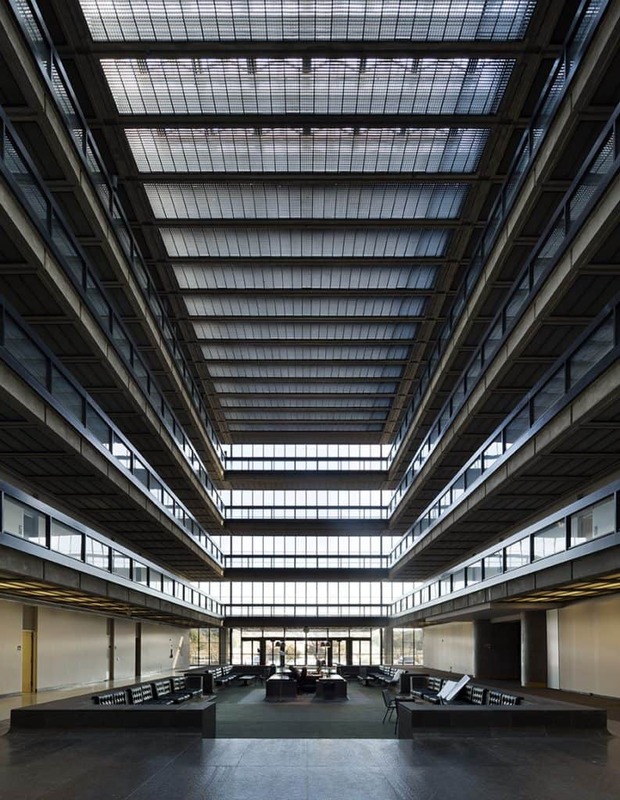 Indeed, as with all of Saarinen’s projects an enormous amount of research was conducted prior to designing the scientist’s workspaces. 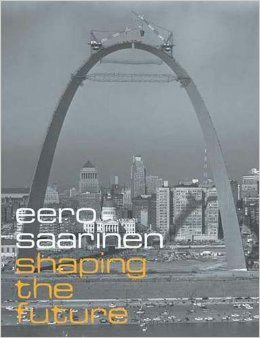 According to Pelkonen and Albrecht (authors of “Eero Saarinen – Shaping the Future”), the principal criteria that Saarinen sought to satisfy in the construction of the buildings was that there be maximal flexibility everywhere: adaptable laboratories, centrally located common facilities such as the cafeteria, and minimal foot traffic past offices and laboratories, to name just a few aspects of the design. 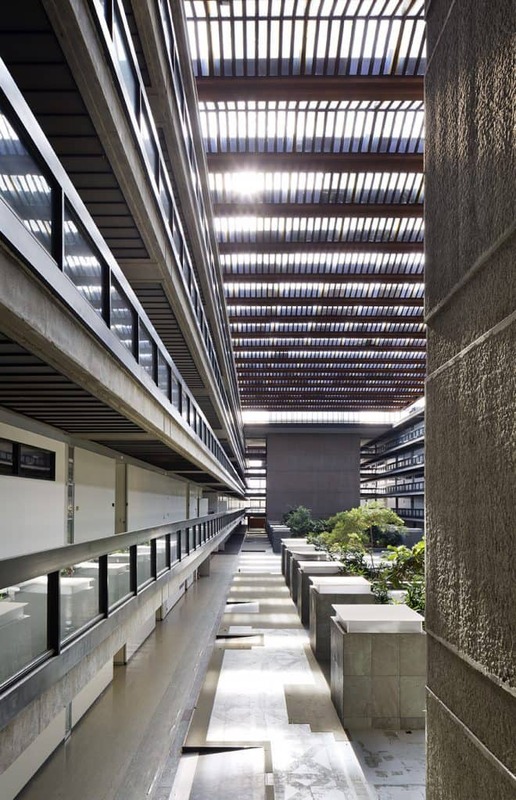 Saarinen’s research also led to a remarkably economical use of space in the building. Specifically, it was found that much space was wasted when laboratories are separated by hallways, due to the significant amount of room occupied by utility ducts. In response, the architects decided to have offices facing back to back with closets and storage placed between the offices. This enabled utility cores to be shared between two labs and had the added bonus of allowing offices and laboratories to be combined or subdivided. 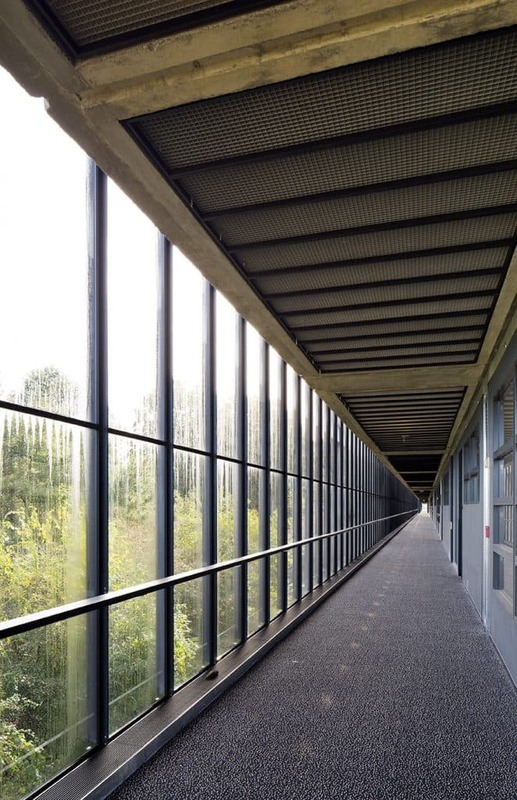 As well as the concentration on the building’s function, Saarinen’s building also captured the modernist spirit in its communication with the surrounding countryside. The site for the building was situated on a 460-acre plot on the Jersey Shore, about an hour out of New York City. 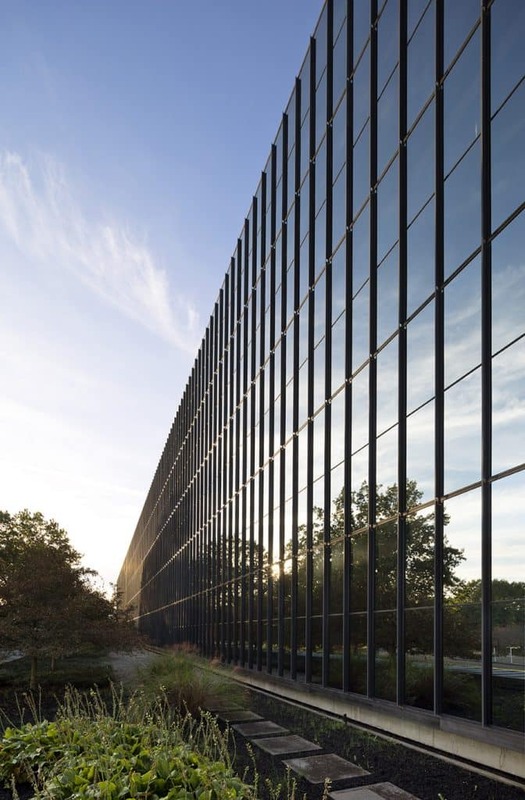 In contrast to the IBM building that Saarinen was building at the same time, this landscape was distinctly flat and open, less like a forest and more like a farm. In such a context, you might think it would be difficult to have an enormous box-shaped building make even the slightest pretence to communing with its surroundings. 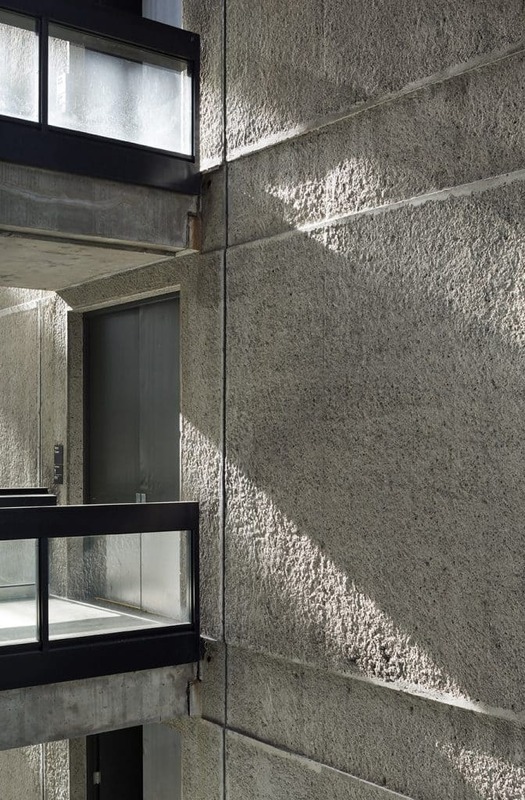 Yet, as with any truly modernist building, communication between the inside and outside was vital. 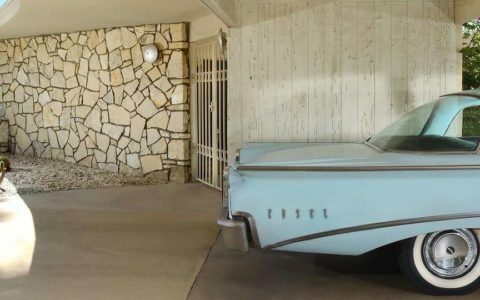 And so, it was clearly a challenge that Saarinen and the project architect Anthony J. Lumsden were interested in taking on. To avoid the development sticking out like a sore thumb, the architects gave the building an enormous mirror façade. 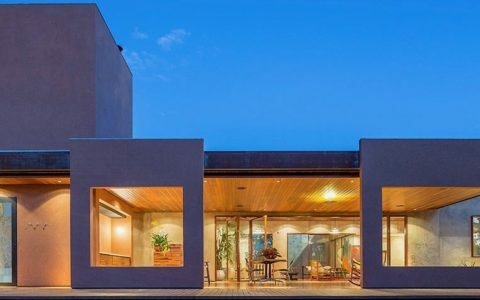 And while this did not render the building entirely invisible, the unique light conditions it created around the building represent an admirable attempt to have the building blend and interact with its surroundings rather than antagonise them. The building was upgraded in 1985 but use of the complex declined as the years wore on. 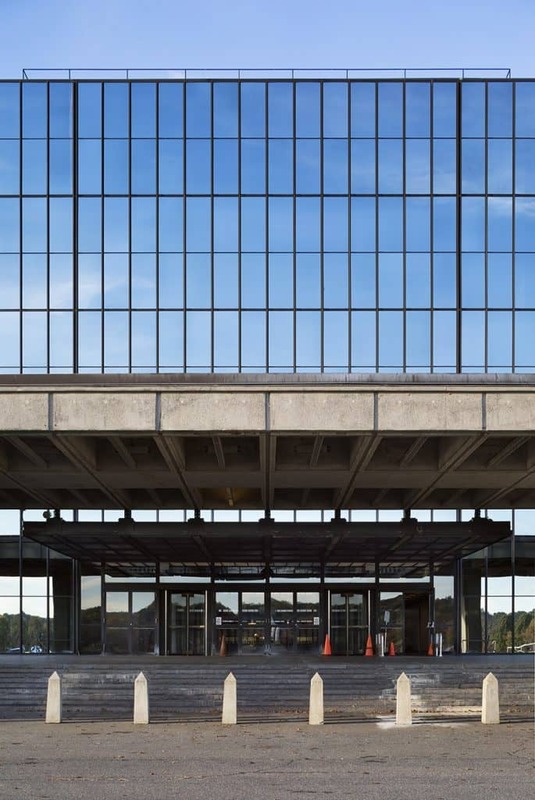 After having lain vacant since 2007, developer Ralph Zucker purchased the Holmdel site in 2013. His firm Somerset Development Companies intends to turn the building into a health and wellness-anchored “metroburb” featuring a skilled nursing facility and assisted-living centre, along with restaurants, shops, a hotel and spa, a large public library and various office spaces. 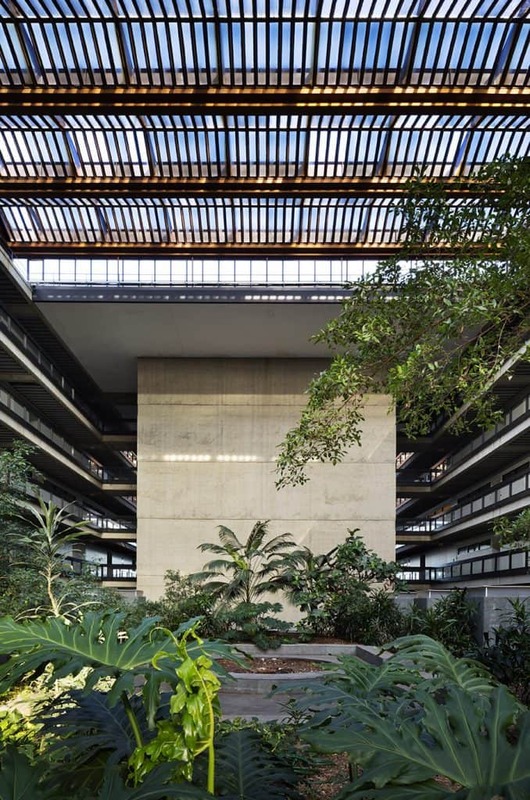 To have a building bring out its users’ natural proclivity to interact and collaborate is a distinctly modernist impulse. 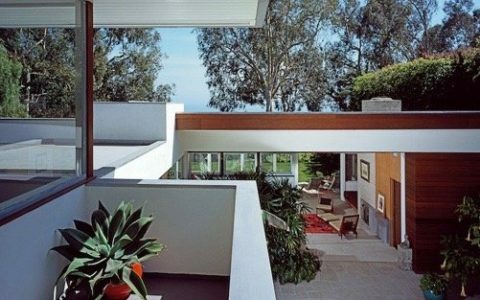 Rehabilitating this aim is proof that the modernist spirit should never be confined to a particular moment in time.